Asia Express Car Rental is the place where you can satisfy all your car rental needs, hassle-free, at your convenience. With sky-high COE prices in Singapore, it's little wonder that many people give up the thought of owning a vehicle here. So, what's the next available option? 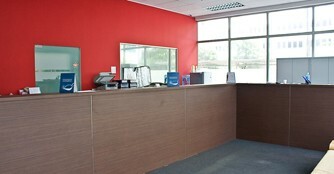 This is where car rental company, Asia Express Car Rental Singapore comes in. 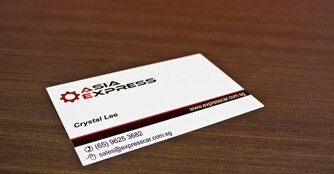 Who is Asia Express Car Rental Singapore? Asia Express Car Rental Singapore was established in 2005 with the aim of providing hassle free car rental service to customers at reasonable rates. Apart from competitive car rental pricing, they also serve customers better through the convenience of easy access locations with friendly and reliable customer support services hotlines. With continuous support from their valued customers, Asia Express Car Rental Singapore has grown to become one of the leading budget car rental companies in Singapore. What are some of the advantages of patronising Asia Express Car Rental Singapore? With a wide range of car models to choose from, Asia Express Car Rental Singapore provides both short term and long term rental services. The fleet ranges from basic hatchback models to family friendly MPVs. These vehicles are washed, groomed and serviced regularly, ensuring that they are in tip top condition for rent. All vehicles are air-conditioned and equipped with an audio player. Another advantage of renting a vehicle from Asia Express Car Rental Singapore is that selected models are available for rent into West Malaysia, which is not really offered in most car rental companies. This means that customers have the added convenience of extending their joy rides into Malaysia. Asia Express Car Rental Singapore also offers a variety of affordable long term car leasing solutions centred to budget-fit companies and individuals. You can enjoy the immediate benefits of leased transportation from Asia Express Car Rental Singapore for business or social use without the added financial burdens of vehicle ownership such as, hefty purchase down payments, yearly insurance payment, road tax and other legal related taxes. Leasing a car from Asia Express Car Rental Singapore also protects you from variable cost inflations and value depreciation. With regards to paperwork and legality issues, Asia Express Car Rental Singapore ensures that its customers do not have to worry about them. The car rental company's hassle-free approach to business policies and keen attention in maintaining service standards to all customers mean that you can be rest assured of a confident and smooth ride, without compromising immediate plans.